TEMPLE OF SCHLOCK: Stay up with Jerry and watch...the Oscars?! 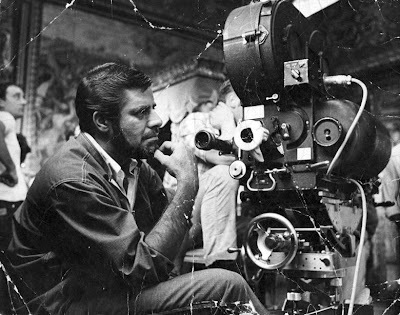 Last summer at DVD Panache I stated that Roger Corman and Jerry Lewis deserved honorary Oscars, and now I'm happy to report that Jer's getting the Jean Hersholt Humanitarian Award tomorrow night at the 81st Annual Academy Awards. Meanwhile, here at the Temple we are busily preparing for our week-long celebration of Le Roi du Crazy next month to mark his 83rd birthday. The festivities start Sunday, March 15th and continue through Saturday the 21st. Mark your calendars! He came, he spoke, he took the award and left. The audience looked like they barely remembered who he was. "Some guy who patented the video assist..."or "the guy who comedians like Will Smith can thank for their careers..." Huh? Wha?